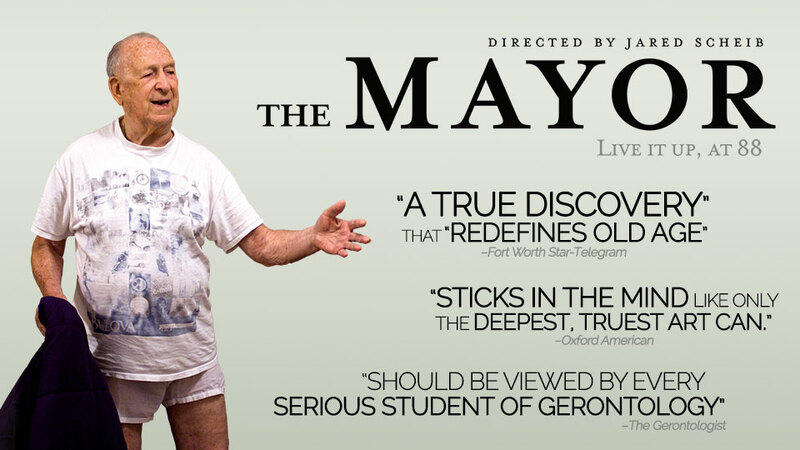 THE MAYOR is a stereotype-shattering documentary that reveals the humanity of seniors living life to the fullest in a retirement community in Texas. Through the 88-year-old Mayor back on the dating scene, a Southern dame devoted to her deceased husband, and a hilarious firecracker of a woman with sharp wit and tongue intact, the film intimately explores our eternal struggle for love and connection. The octogenarians of THE MAYOR defy cultural expectations and demonstrate how our golden years can be as meaningful, challenging, and triumphant a time as any other.